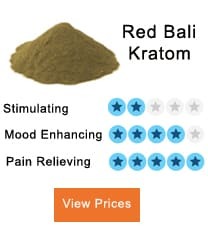 If you are looking for something that will fill you with energy and give you a much-needed medical boost, then you can not go wrong with this Kratom strain. Originating in Thailand, Maeng Da is an enhanced strain that has quickly gained popularity in the world because of its beneficial qualities. How to Measure the Dosage of White Maeng Da Powder? 1 How to Measure the Dosage of White Maeng Da Powder? 2 How long does White Maeng Da take to kick in? 3 How long the White Maeng Da effects last? 5 How does White Maeng Da Kratom work? Unless you have the right amount of white Maeng Da, you will not feel the best effects of this powder. Beginners, especially, should begin with an initial minimum dose and then increase the amount of intake over time, based on the effects. Ideally, any dosage below 2 grams will work for a beginner, and also be safe. If, on the other hand, you are an experienced user of Kratom then you can even have a moderate dose of this powder which usually lies between 2-5 grams of the product. Taking 5 grams of Maeng Da will make sure that you feel the benefits keenly. Be careful when increasing your dosage any further, any amount over 5 grams is considered to be a high dose. The final dose refers to a dosage above 10 grams. A high dose is not as harmful as a final dose, but it can potentially cause sedation and euphoria. Unless that is what you wanted, you might feel uncomfortable with the result. How long does White Maeng Da take to kick in? 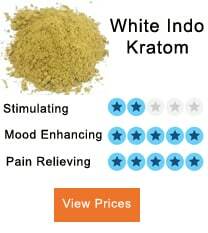 White Maeng Da is especially popular among Kratom strains because of the early effects it can induce. Once you have the product, you will begin to feel the effect within the next 15-30 minutes. You might start feeling hyper and talkative at first, but that phase will pass once the white Maeng Da reaches the inside of your body and starts working. If you are a beginner who has never taken the product before, then the effects will take even lesser time to show. How long the White Maeng Da effects last? On an average, you can expect the effects of white Maeng Da to last for a minimum of five hours, and that can extend up to eight hours. The duration may vary based on the health condition and personal profile of the taker. Maeng Da is known to have the longest lasting effects on the user in comparison to other common strains. For beginners, the consequences can last a little bit longer, while experienced users may find them fading sooner. Being addicted to Maeng Da can ruin your health in the long run, so do not overdo it. While it might be tempting to have some more of the product to make the effects last longer, you need to control the dosage strictly. If you want to feel the stable effects over a long period, then stick to moderate dosage. 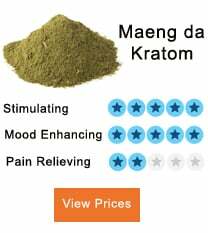 How does White Maeng Da Kratom work? White Vein Maeng Da has a natural nootropic effect that is very popular among its users. It can potentially improve the cognitive function of the brain. This particular strain of Kratom has alkaloids which attach themselves to receptors, setting off neuronal activity which helps you gather your thoughts and focus better on the work at hand. As a result, White Vein Maeng Da is commonly taken by students who are studying subjects like engineering and law so they can perform better. White Vein Maeng Da enhances analytical power and even motivates its users to do better. A large number of working professionals swear by it! When you have White Maeng Da, your body will begin to feel its effects as a stimulation compound. It leads to higher energy production which can improve the quality of your work. The best part is that you only need a minimum amount of the powder to benefit. This energetic strain is a boon for all those who study or work late into the night. It alerts the mind considerably to what is happening and can prevent the embarrassing mistakes one makes when tired. One of the main advantages of having white Maeng Da leaves is that you will have an improved mental state that will make you happier in general. Mood enhancement comes with other useful effects like stress relief energy boost and mild stimulation. Users feel more social and relaxed after taking the product. The optimism induced by White Maeng Da can help you improve the quality of your life. The product can give rise to a euphoric state where users feel giddy and happy for a while and can take a break from the daily stress. This white vein of Maeng Da leaves can be very helpful when it comes to pain management and control. It can potentially eliminate all kinds of pain and hence reduce the user’s discomfort. Whether you suffer from migraines or chronic pains like osteoarthritis and cancer, White Vein Maeng Da can help you feel better even if it is for a temporary duration. A higher dose can also induce sedation. Knowing the dosage and how much you can take it will ensure that you get the best results. Do remember that Maeng da is one of the best ways to get rid of chronic pain – have you tried it out yet? I have been looking for this topic for quite and I am glad that I have found it in detail. 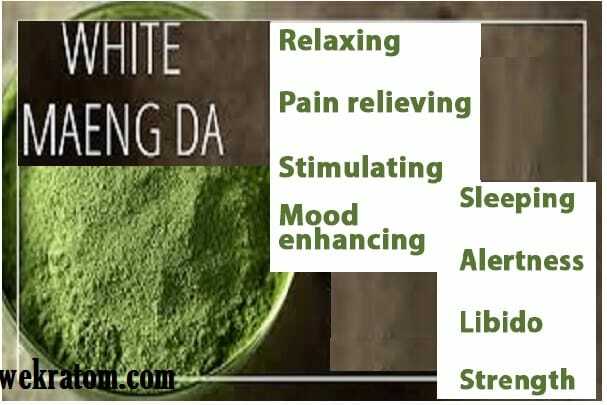 White Maeng Da Kratom is a product that has been keen on using of late and I have been quite amazed with the results. This is impressive. Thank you so much Shaun d for your amazing feedback. Am glad to hear that by putting together the above information my audience will find everything quite informative. 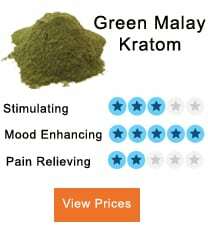 Can i claim it the best Kratom strain that provides stimulation and relief from pain? I’m found of painkillers because of my hectic routine. Any suggestion? 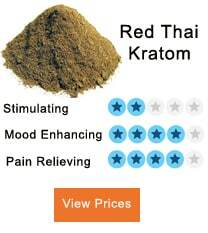 Yes, i can say it is the best Kratom strain that provides relief from pain. The plant has been grown by grafting to increase its properties. In my review, the product is a top seller. The effect is providing relief from body aches only or there could be other potential benefits too of white Maeng Da? It has other potential benefits not only relieving body ache. The product has the power to make the mind very alert and it also boosts physical readiness without any signs of perspiration palpitation and tremors.Mostly it is used by those carrying out heavy tasks to boost energy.It is also used by scholars and philosophers to obtain a sharper focus and to acquire more mental energy. What type of body aches can be relieved by the product? Does it work for rheumatoid arthritis? 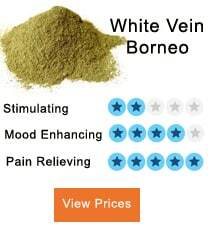 White Kratom can relieve back pain, osteoarthritis, rheumatoid arthritis, and cancer. I have Rheumatoid arthritis and it has been very effective in reducing my pain and fatigue. Can the product be used for the medicinal purposes? yes, in some instances the product can be used clinically. It has medicinal properties in it. I didn’t try the Green Maeng Da yet but it is supposed to be milder than the White Maeng Da. I took some in the morning and had a huge confidence boost from it. It really affected our Saturday football game in a good way. Good fun was had and my back didn’t hurt so much. My friend took ten grams of this Maeng Da in capsules, and wow, he was sedated. I don’t think he was supposed to take that much, as he was pretty lethargic afterward and had a headache. He took it because they are moving and he had a ton of back pain after carrying stuff all day. We won’t do that again, we will just stick to the regular dose next time. His back did feel better but he didn’t have that euphoric energy and his headache was almost as bad as the back pain. I read about this Kratom tree in Asia and how it is cultivated. I think this could be good when we play football in the heat as well since it is grown for that in Asia. My friend gets a sore back sometimes between work and playing football, and I think this White Maeng Da could really help with his back pain long term. Of course, he can’t take it continually, but he’s hoping it is strong enough that he won’t have to take a lot of other painkillers with it since it is mostly due to his back becoming really tight. How often are you supposed to dose? what is the recommended dosage of the product? Where can we purchase this product? I tried this Maeng Da and didn’t get very much euphoria from it but it did ease my back pain quite a bit. It smells pretty good. I think I started on too low of a dose. Some websites recommend starting off at two grams and increasing up to five grams. I think that would be a little too much for me as I am a bit of a lightweight. I play a lot of soccer and experience minor back pain pretty frequently on Sundays. This really helped with my back pain last weekend. I am wondering about White Maeng Da vs. Green Maeng Da and the effects of White Maeng Da long term. I could use this every weekend except that it says a person can start to absorb the effects and won’t feel anything with White Maeng Da if they take it for months at a time. I guess I’ll have to alternate this with some other pain medications like Ibuprofen. I liked the Maeng Da and am wondering about getting capsules instead of the powder. The powder I had was one of the strongest types so I just tried a gram at first. It was pretty strong. I read that the expert dose is eight grams, which is a lot. I definitely don’t want to overdose on White Maeng Da capsules so I am shopping for a capsule that comes in a lower dose, like one and half grams. The normal dose of five grams is in capsules but I didn’t find any lower doses yet. I have the powder how do I take it? Do I make a hot tea out of it?